It is unsubtle that the e-commerce industry is constantly developing, thus dramatically simplifying the life of merchants as well as customers. Today, we would like to talk about an extension which is able to make a client feel he/she has full control over what items he/she orders. IWD Magento 2 Product Designer Extension is an amazing tool which enables your webstore visitors to customize products they would like to buy, adding different logos and texts to items. Furthermore, the process is extremely simple, and yet the feature makes a great contribution to the way your clients see your storefront. After installing the Magento Design your own product extension, you will be able to allow your customers to add texts and logos to the products they are willing to purchase. Furthermore, the images uploaded and texts entered can be easily rotated, resized, and duplicated. Besides, your website visitors are able to change the way the text looks: italicized / bold, font, alignment, etc. 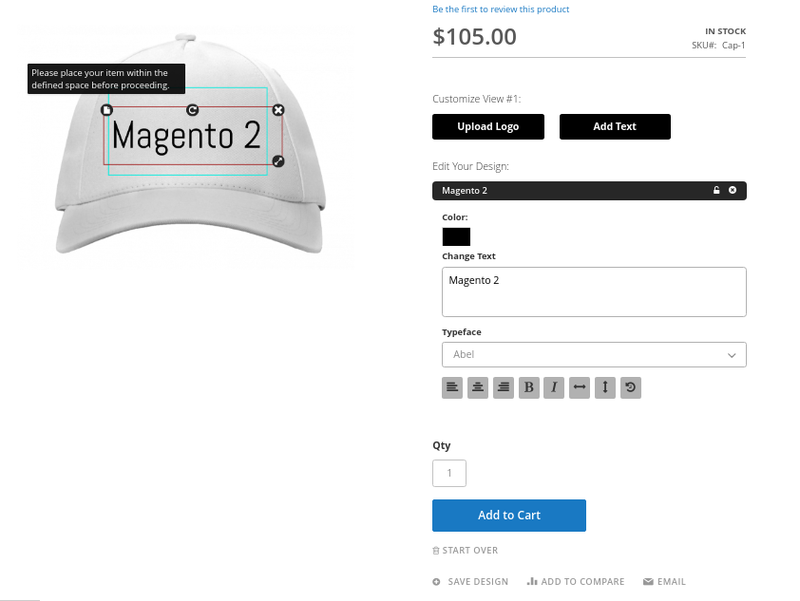 Once the products are personalized and ordered, the Magento 2 product designer module will automatically send them to print/production, taking into consideration the new design created by the customer. Since the Magento Customize Product Extension applies overlay technology, the customers are able to try different colors of a customized item with no need to upload images / add texts again and again to see how the product will look like in another color. The Magento 2 product customizer automates the process so that you could avoid unnecessary actions. As usual for better understanding of the Magento 2 product customizer’s functionality, we would like to draw your attention to the way frontend looks. As you see, the Magento 2 product designer extension provides you with a number of instruments to customize the product of your preference: you can easily upload the logo of your company, type its name as well as change the font, position, and size of the phrase written. The power of this feature lies in its simplicity. 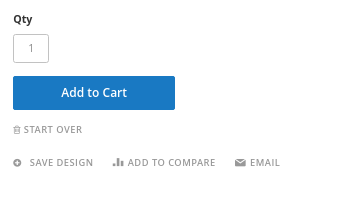 Apart from it, when a design is personalized, you can keep it for further utilization by clicking the “Save Design” button which finds itself under “Add to Cart”. We know the importance of mobile-friendliness in the 21st century, so does IWD. Therefore, to make sure mobile users feel comfortable on your website, the IWD Product Designer offers smooth and streamlined mobile experience to your website visitors. 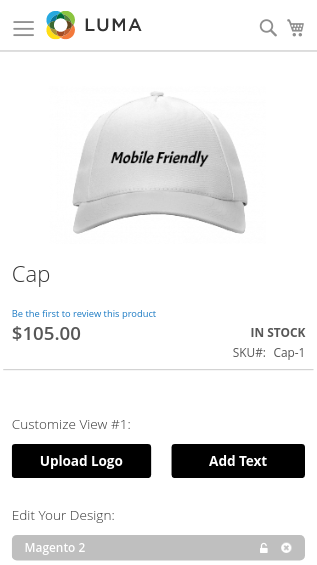 Here below, you can see the way it appears for clients who use their mobile devices to view/customize products in your e-commerce storefront. 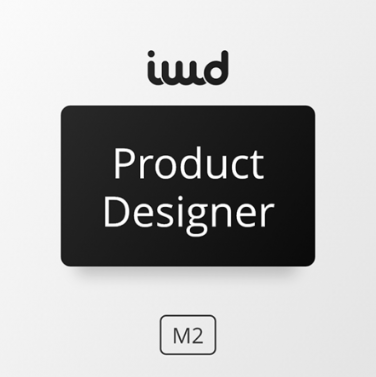 Follow Stores => Configurations => Product Designer => General. There you will be able to view the version of the Magento 2 product designer module, enable its functionality in your store as well as leverage the user guide. 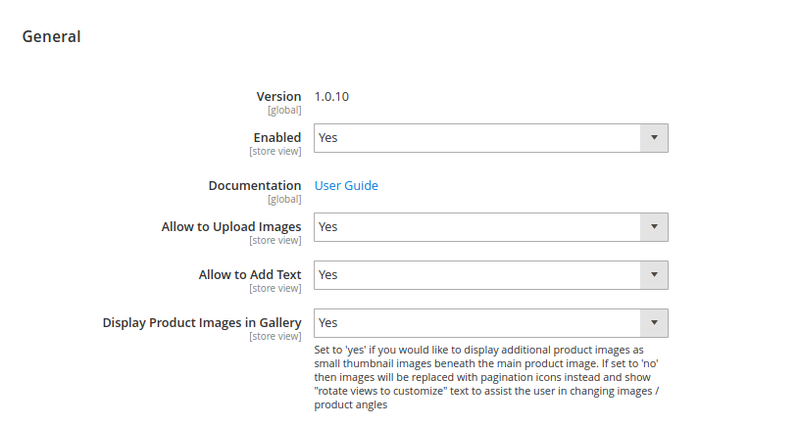 Apart from it, if you decide to partially limit the functionality of the Magento 2 product designer extension, you can do it by disabling the “uploading an image” or the “adding a text” features. Besides, it is up to you whether you want to display Product Images in Gallery or not. 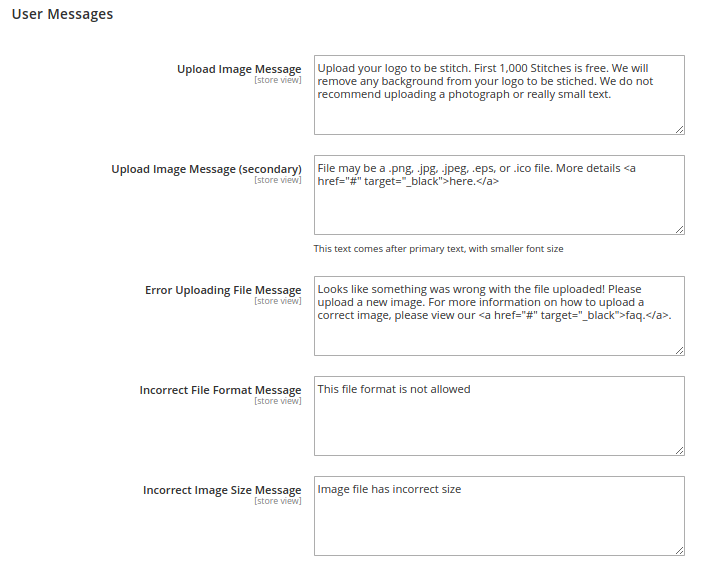 Subsequently, you will be able to configure image settings. 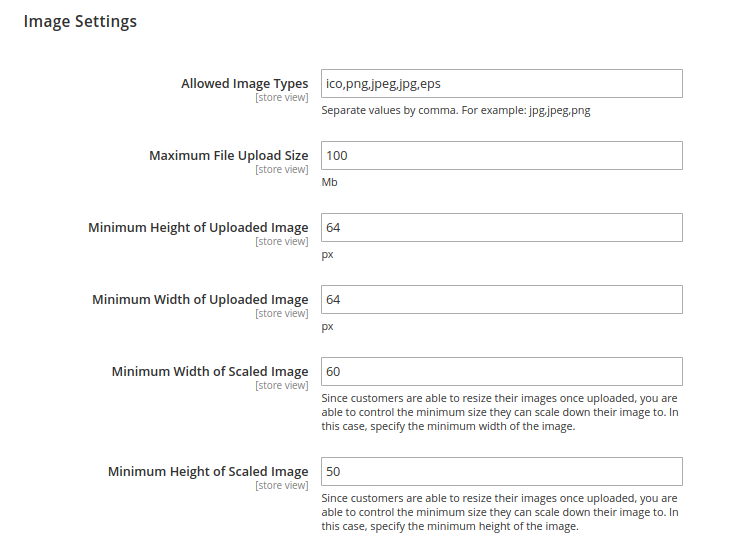 Thus, you can define what image types you allow your customers to upload as well as what would be the maximum size and the minimum height/width of an image uploaded. For the Fancy Product Designer, Magento provides your website visitors with an ability to scale the picture after it is uploaded, you are able to set the minimum height and width to which the uploaded image can be scaled down. Then, you can make some alterations with default text settings. 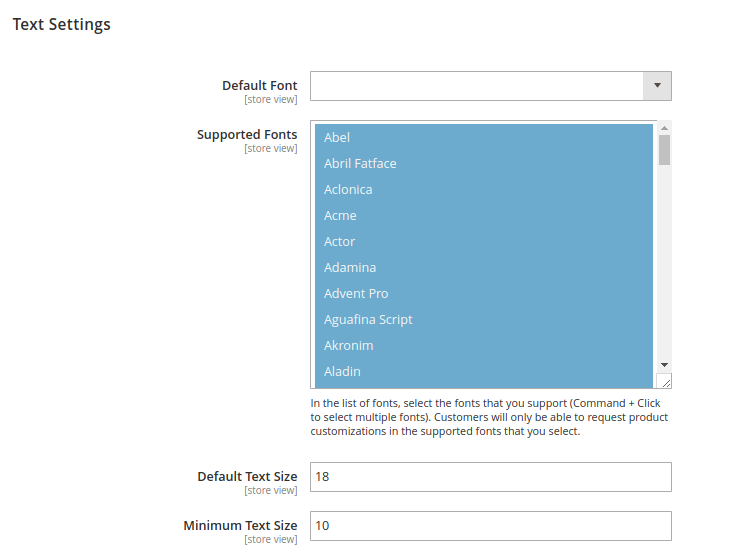 In this backend section, the Magento 2 product designer extension allows you to set the default font of the texts typed as well as select which fonts you would like to offer to your website visitors. Besides, you can also determine default text size as well as its minimum value. To communicate with your customers while they are customizing the products of their preferences, you can leave them personalized messages which will help them do everything right according to the standards you have determined in your storefront. You can easily modify the templates to meet the specific needs of your e-commerce business. Follow Products => Catalog to view the grid of all available products. Here, you are able to configure Product Designer features per item. To do so, click “Edit”. Once you get there, scroll down a little bit to find the Product Designer section. 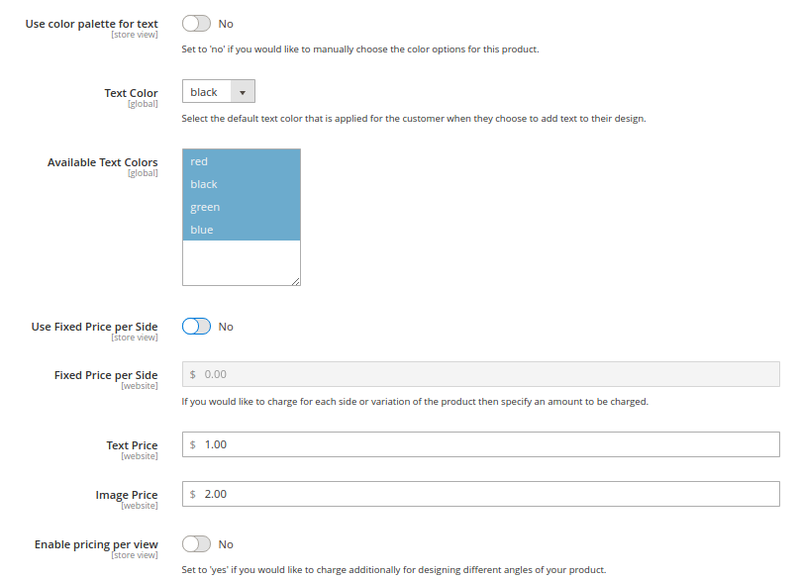 Here, you are able to decide whether you want your customers to use color palette for texts or rather provide them with predetermined ones they can choose from. Besides, it is up to you if you want to charge clients for using the feature. Thus, pricing policy is in your hands. In case, something went wrong or you need company’s assistance, you contact them without leaving the backend. Go to Stores => Configurations => Support and fill in the Support form to get immediate help from the Magento 2 product designer module developers. The IWD Product Designer Magento 2 Extension will be able to provide your website visitors with more control over the products they are going to purchase. By doing so, you are likely to increase sales rate for you give them more customizations options. Customers like when they can choose what they buy, the bigger options you have, the better it is for your e-commerce business. 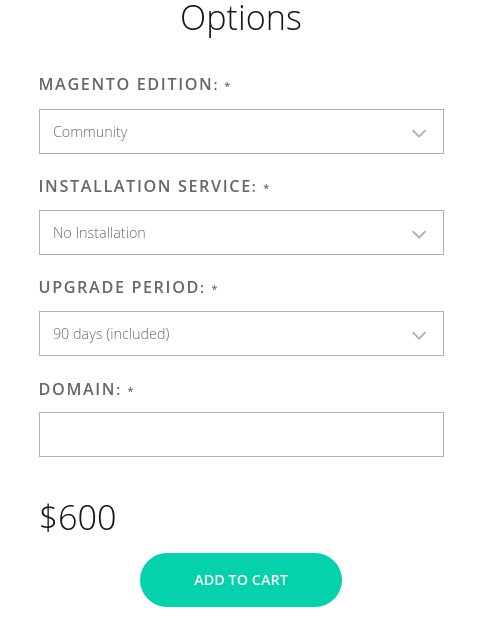 As regards the price of the Magento Custom Design Product extension, it starts at $600 for Community Edition, including 90 days of a free upgrade. The Support team can help you with its installation which will cost you +$125.